This is huge orgone sphere (ball ) of sevenchakra crystals, copper ring, aluminium powder , copper powder and weighs 450grams.It has 3.5inch diameter.Ithas good vibrations. We being a distinguished business company are highly dynamic in providing to the industry a vast gamut of Amethyst Faceted Single Ball Hanging. Hello sir, . we are manufacturer all kind agate & carnelian items, i have send to some pic in carnelian rough. We offer Gemstone Spheres in a wide variety that are produced from a single piece of carefully selected raw stone. The Gemstone Spheres are hand carved, hand grinded and hand polished. 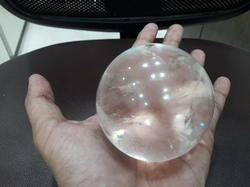 The Gemstone Spheres we offer are used for divination. 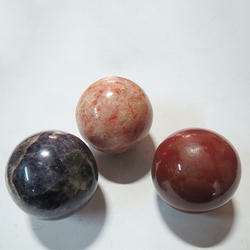 The Gemstone Spheres are available at reasonable prices.